Giancarlo Parenti earned his Medical degree in 1980 at the School of Medicine, Federico II University, Naples and completed his residency in Pediatrics in 1984 (Department of Pediatrics, Federico II University, Naples). He trained as a researcher at Department of Pediatrics, Federico II University, Naples, at the Department of Cell Biology and Genetics, Erasmus University, Rotterdam, the Netherlands, (1985-86), and at the Institute of Medical Genetics, Baylor College of Medicine, Houston, Texas, USA (1994). His research activity has been mainly focused on inborn errors of metabolism, including sulfatatase deficiencies (X-linked ichthyosis, due to steroid sulfatase deficiency; X-linked recessive chondrodysplasia punctata, due to arylsulfatase E deficiency), defects of cholesterol biosynthesis, and lysosomal storage diseases (Pompe disease, Gaucher disease, multiple sulfatase deficiency, galactosialidosis). He is currently working on the development of novel therapeutic approaches for lysosomal storage diseases (pharmacological chaperone therapy, modulation of cellular pathways). He is currently Associate Professor at the Department of Translational Medical Sciences, Federico II University, Naples and Associate Investigator TIGEM (Telethon Institute of Genetics and Medicine), Pozzuoli. 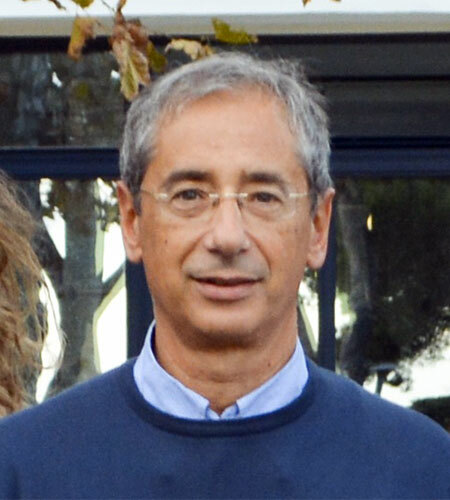 He is member of scientific societies, including SSIEM (Society for the Study of Inborn Errors of Metabolism); the European Study Group for Lysosomal Storage Diseases (ESGLSD); the European Consortium for Pompe Disease (EPoC); SIMMESN (Italian Society for the Study of Inherited Metabolic Diseases); the Italian Society of Pediatrics (SIP).